Mark your calendars! For club activities, ask any one of the members of the board for information and for district activities, visit the Rotary District 5240 website for more details and to register for district events. Luis Wine Bar, 1021 Higuera St.
Board of Directors Meeting - all members welcome! 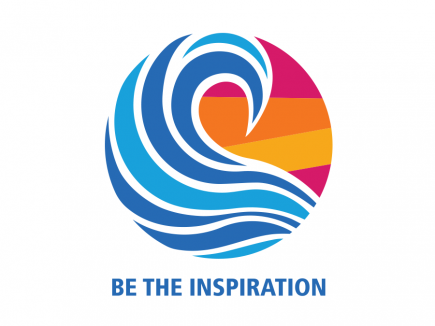 Rotary is the world’s largest service organization with more than 1.2 million members who come together to create positive, lasting change in our communities and around the world. 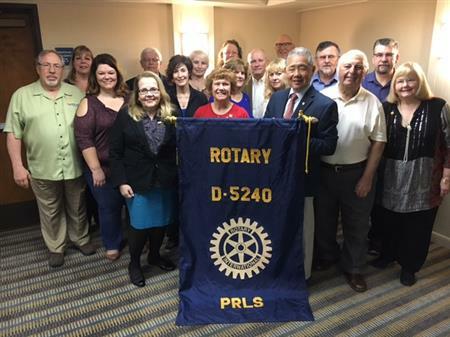 Rotary District 5240 is made up of 3,300 members, from 72 clubs, in four different counties within California. April is "Maternal and Child Health Month". Click here to read this month's newsletter and a message from our District Governor, Sandi Schwartz. Happy reading! The goal of PRLS, begun in 1993, is to provide a set of training sessions where current and future Rotary leaders could learn to become more effective in their leadership roles. The PRLS program offers practical training in professional circumstances that can benefit anyone on both a personal and professional level. Basic PRLS consists of a half day with three modules: Rotary Then and Now, Leadership & Leading a Meeting and Communications & Speaking in Public. This program was specifically developed to train individuals whose goals include a future leadership position in Rotary. They learn skills that will make them more effective in that role. Click here to learn more and for the 2018 training schedule. Club graduates of the Basic PRLS and Master PRLS program include Mike Alamo, Bill Almas, Leslie Coe, Robin Dudley, Berni Ann Lewis, John Mascarenas, Dave Nilsen, Charlene Rosales, Annie Shanks, Harry Sharp, Doug Shaw, Steve Sicanoff, Liz Summer and Linda Wilson. 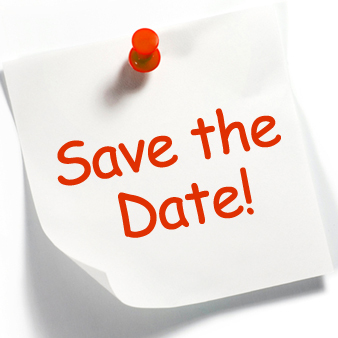 On June 20, Rotary District 5240 will be holding its very first district-wide social event and fund raiser. 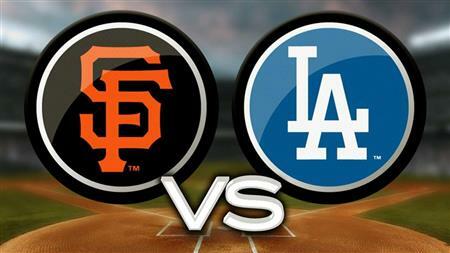 On that date the Los Angeles Dodgers will be playing the San Francisco Giants. The Dodgers have offered district Rotarians the opportunity to have a fun filled social event at Dodger Stadium! Click here for more information. Rotary District 5240, the Rotary Passport Club of the Central Coast and the Cal Poly Women’s Basketball Team are teaming up in early January for a weekend of special activities to focus on Rotary International’s polio eradication program called Polio Plus, its number one humanitarian effort. Events will include a Farmers’ Market Booth on Thursday, January 10th, featuring the representatives from the Mustangs and Rotary informational displays. The “main event” will take place on Saturday, January 12th at 2:00pm, when the Cal Poly Women’s Basketball Team hosts the UC Santa Barbara Lady Gauchos and special Rotary Polio Plus programs and exhibits. These activities will help enlightening the general public and raise funds for this great humanitarian cause. There will be various ways to donate to Polio Plus during the game including a half time free throw shoot off by fans. The Cal Poly Athletic Department will provide prizes for those that make a bucket! General admission tickets are available in advance or at the door and cost $9 for adults, $7 for senior/staff and $5 for youth. Rotarians and their guests will be offered tickets for only $5 in advance or at the door. Cal Poly Rotaract Students will be admitted for free. To place phone orders call 805-756-4TIX or 1-866-Go-Stangs. Online ticket purchases and further game information are available at: www.gopoly.com. Game parking will be free in the large parking structure adjacent to the Mott Athletics Center and the Performing Arts Center. Additional information for the weekend Rotary events is available at www.rotarydistrict5240.org or by contacting Rotarian Curtis Reinhardt at 805-773-4173 or curtis@curtisreinhardt.com. Additional game and team information can be accessed at: www.gopoly.com . You and your guest are invited to join in the celebration of the Rotary Club of San Luis Obispo Daybreak's 20th Anniversary! Come together in fellowship with Rotarians, past and present, to acknowledge 20 years of service, charitable giving and friendship. 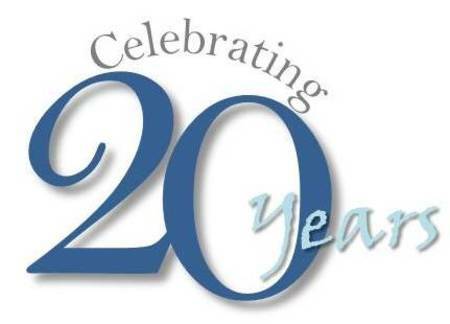 Charter members, past presidents, friends of our club and District 5240 leaders are invited and will be present to raise a glass to two decades of Service Above Self. Get More Connected with Rotary! Show your Rotary pride and don't miss out on any Rotary news, events, photos and club meeting recaps! Have you updated your club profile at SLODaybreak.org? Click here. 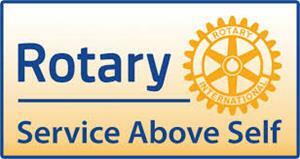 Have you "liked" the Rotary Club of SLO Daybreak's Facebook page? Click here. 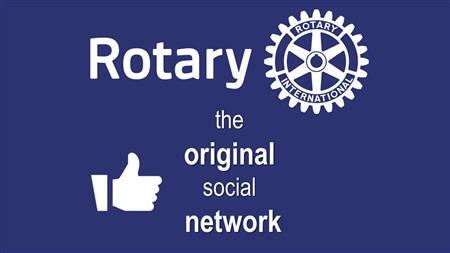 Have you "liked" the Rotary District 5240 Facebook page? Click here. Have you created a My Rotary account at Rotary.org? Click here. 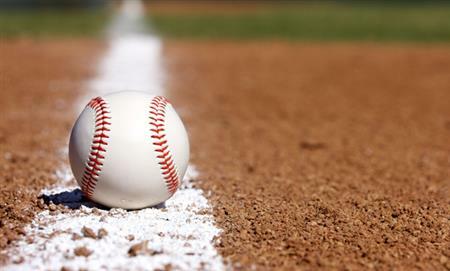 Rotary Clubs in Group 10 are coming together for a softball challenge on Sunday, April 22 from 1-5pm at the Pismo Beach Sports Complex. This afternoon of food, fun and fellowship benefits Rotary International's End Polio program. Sign up to play and receive a team t-shirt, and if you can't play then come out and support your fellow Rotarians. See Matt Janetski for more details. 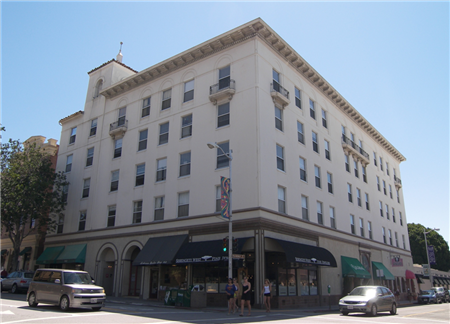 Join the San Luis Obispo High School Interact Club on Saturday, March 3 and help spruce up the Anderson Hotel at 955 Monterey St. in downtown SLO. Start time 9:30am sharp; please let John Eichler know if you can help out for a couple of hours. SLO Daybreak has proudly sponsored the SLOHS Interact Club since our club was founded 20 years ago. Last year, we adopted the Anderson, a subsidized housing facility for low income, disabled and senior members of our community, as one of our ongoing projects. Please join in this community service opportunity, "Service Above Self". Lunch will be generously hosted by the Housing Authority of San Luis Obispo. 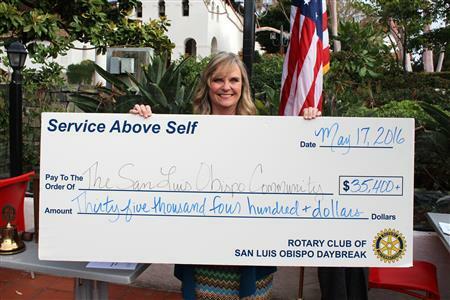 Through a competitive application process, the Rotary Club of SLO Daybreak provides charitable awards to local nonprofits serving San Luis Obispo. Programs are nominated by club members as a way to support organizations they hold in high regard, and to recognize those programs that align with the club’s priorities. Purchase Climate Monitoring Equipment for Long Term Preservation of Artifacts and other Materials. This year's application is available for download from the column to the right (scroll down to "Home Page Download Files"). Applications must be sponsored by a club member and in order to be considered by our club's Community Awards Committee, emailed to Harry Sharp by Saturday, February 10. Don't delay, apply for your charitable organization of choice today. Our San Luis Obispo High School Interact Club needs 4 to 8 Rotarians to help with this Saturday's (January 6) laundry room cleaning at the Anderson Hotel at 955 Monterey St. in downtown SLO. Start time 9:30am sharp; please let John Eichler know if you can help out for a couple of hours. SLO Daybreak has proudly sponsored the SLOHS Interact Club since our club was founded 20 years ago. Last year, we adopted the Anderson, a subsidized housing facility for low income, disabled and senior members of our community, as one of our ongoing projects. Please join us on Saturday if you can! The following is an email from District Governor John Weiss which went out to every active and honorary member of District 5240. See the downloadable PDF documents to the right under "Home Page Download Files" if you wish to make a donation. First and foremost, our hearts go out to all who have suffered loss: health, well being, or property. We know of several Rotarians who have lost their home and all of its contents. We have also heard of an instance where every home on their block lost their home save theirs – and that is also a very tough and stressful situation. We work to pair Rotarians who have been displaced with Rotarians who have a spare bedroom or two. I’ve heard from one of my classmates who has already experienced tremendous loss from fires in Northern California. In that district (5130) the Assistant Governors have coordinated Rotarians who have lost their homes or who have been evacuated with Rotarians who have spare bedrooms. So I am asking our Region 2 and 3 Executive Assistant Governors Scott Farenkoff and David Velarde to lead that effort with their respective Assistant Governors. With thousands of people affected by the tragic wildfires raging in Southern California, it has never been more important for us to stand up as leaders in service to the community. For that reason, our District leadership and I have partnered with first responders and the Ventura County Community Foundation (VCCF) to establish a fund to help meet the immediate needs of hundreds of families and individuals who face hardship due to these devastating fires. We have launched the Rotary Relief Fund and need your support. Through a check, online payment or gift of stock, your contribution is certain to have a positive impact on the most urgent needs of fire victims. As District Governor, I am working closely with first responders, relief agencies including the Red Cross and the VCCF to ensure the high-impact and efficient distribution of our funds. Also to maximize the impact of your gift, the VCCF is waiving all cost for administering the funds. Why the Thomas Fire in Ventura County? As of noon Wednesday, Dec. 6th, this fire has consumed 55,000 (+5,000 over previous day) acres and is zero percent contained and conditions are predicted to be worse over the next two days. The fire is being managed by a Type 1 Incident Management Team with 1,776 (+676 from previous day) personnel assigned. There are 12,000 (+8,000 from previous day) homes threatened by this fire and hundreds of structures already damaged/destroyed including hundreds of homes. 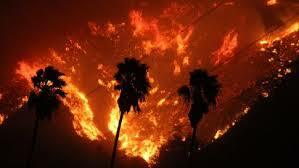 Evacuations have been ordered for more than 28,000 residents and evacuation centers are filled. 1. Make an online donation via credit card. Be sure to enter fund name as Rotary Relief Fund. 2. Send a check payable to Ventura County Community Foundation and mail to VCCF, 4001 Mission Oaks Blvd, Suite A, Camarillo, CA 93012. Write “Rotary Relief Fund” in the memo line. 3. Transfer securities or cash by wire. VCCF can accept gifts of publicly traded securities and cash by wire. For your convenience, VCCF has prepared one-page instruction letters (attached) that you can send to your bank or investment advisory firm, which will give your financial advisor all the information he or she needs to execute a wire transfer of securities or cash. Please be sure to name “Ventura County Community Foundation Rotary Relief Fund.” Ventura County Community Foundation is a 501(c)3 public charity, Federal Tax ID number: 77-0165029. Please feel free to reach out to me or Vanessa Bechtel, President & CEO at the Ventura County Community Foundation at (805) 330-6676 or vbechtel@vccf.org. Never has “Service Above Self” been more important to so many, so close to home. Thank you for your support. Registration is now open for the annual District Mid-Terms, special training provided by Rotary District 5240 for current club presidents, president elects and president elect nominees. There are two choices for locations, January 6 in Santa Barbara or January 13 in Bakersfield. Click here for more information. Coffee with President Wilson will be this coming Saturday, December 2 at Black Horse Espresso and Bakery at 8am. Join Linda and a small group of fellow club members for casual conversation and provide feedback or ask questions about Rotary. This meeting also counts as a make up! 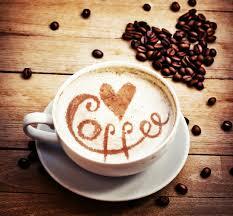 If you happen to miss a Tuesday morning meeting, there are a variety of ways to make up for it. Our club's current policies require that members who miss a meeting complete a make up requirement within two weeks of the missed meeting. And we pride ourselves in historically having over 90%+ attendance in comparison to other clubs throughout our district. 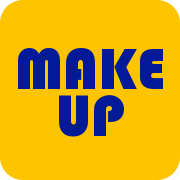 Remember to notify our club secretary, Dave Wilson, when you do a make up. Tthere are a lot of ways to get an A+ as a regular attendee and we want to make sure our club members stay engaged in our activities and connected with each other. That's why our club policies require consistent attendance - we want everyone to get the most out of their Rotary membership. Our next Friday Fellowship takes place on November 10 starting at 5:30pm at 7 Sisters Brewing Company, 181 Tank Farm Rd., Ste. 110. Family and friends are always welcome to join us for a casual gathering and no host bar/appetizers. Hope to see you there! We will again be at the Anderson Hotel on Saturday, Nov. 4 to help clean the downstairs lobby, kitchen and dining areas, as well as the shared areas housing the residents in the upper floors. The Anderson is a government subsidized housing apartment building for low income, senior and disabled residents. We really spruced up the place several months back and look forward to returning and helping out. Meet at 9am the Anderson at the corner of Monterey and Morro streets in downtown SLO. Wear your best cleaning clothes and feel free to bring dish washing gloves, all other supplies will be provided and we will be there a couple of hours until 11am. Lunch to follow hosted by the Housing Authority of San Luis Obispo staff. 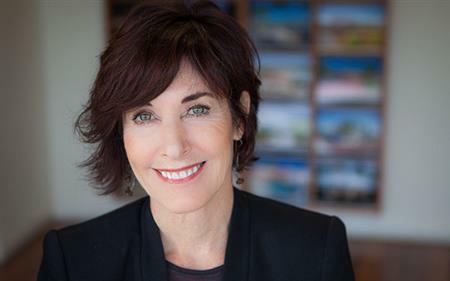 Join us on Wednesday, October 18 between 5:30-7:30pm for the SLO Chamber Monthly Membership Mixer hosted by our very own Club President, Linda Wilson! 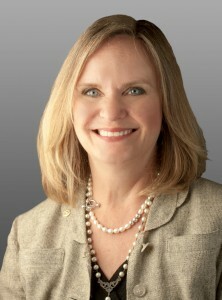 Linda is a long time Chamber member as are all three SLO Rotary Clubs. The monthly mixers draw a crowd of about 300 and are a great way to meet fellow business people and community members. This month's mixer also includes Wilson & Co.'s neighbors, BlackHorse Espresso & Bakery and the Wine Shed. Food will be provided by BlackHorse, Mint + Craft and Paso Catering Co. Wine and beer will also be poured by Biddle Ranch Vineyard, Central Coast Brewing and Wine Shed and there will even be a raffle prize provided by the Crushed Grape. Don't miss out and come support our prez. (Please park on Capitolio Way or Sacramento Drive and walk to the mixer). Click here for more information. Recently, our Rotary club conducted a spontaneous "raise your hand to give" fundraiser, inspired by the generous leadership of past president Behr Hoffman, to provide a Shelter Box for one of the many areas affected by recent hurricane, earthquake and fire disasters. The number of natural disasters that Rotarians in North America are facing can feel overwhelming. Juggling our individual and collective responses at times may add a little stress as well. From my experience, giving even a small amount can be a healing process connecting us with those we care about, but don't yet know. This email was prompted by a request from a classmate in Northern California. As we receive news reports, the reports are devastating. Most of us have connections to Northern California, I do. Thank you for what you have done and what you will do to help. Here are ways you can respond through the community of Rotary. 2. The Rotary District 5240 Charitable Foundation is partnering with the Rotary Club of University Heights (Houston). We're receiving donations that will be used in coordination with our partner to help with the relief and recovery efforts in Southeastern Texas. http://www.rotarydistrict5240.org/ So far our Charitable Foundation has received over $40,000 for the Houston Relief Fund! 4. The Rotary Foundation has opened a fund to collect donations for relief and recover from the Mexico earthquakes. Donations can be made: https://www.your-fundaccount.com/rotary/HowToContribute.asp. ACCOUNT NUMBER 613. Please note that sending money to another country creates some complications for the donor and your benefits will be protected by giving to the Mexico earthquake relief and recovery effort through the Rotary Foundation. 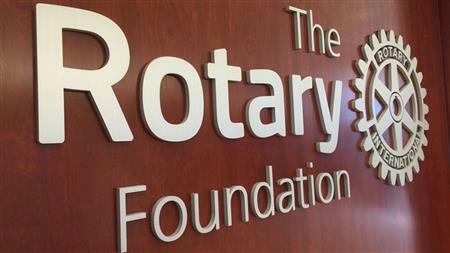 Giving to the Rotary Foundation creates significant change in people's lives and global communities. Wade Nomura, our district's Rotary foundation committee chair, says, "The articles and stories we share are to inform you of the many good things we are doing and how the Rotary Foundation is making all these dreams come true. The partnerships, both locally and internationally have benefitted and leveraged the projects we are doing, AND the network we have established internationally, has benefitted our districts by having a number of Global Grants sponsored by our international partners benefitting our local communities". Click here to read the latest edition of the District 5240 Rotary Foundation Newsletter and learn more about Rotary's charitable efforts. Sign Up Deadlines Are Approaching! Two big events are coming up in the next few weeks! Loads of Fun and Fellowship! Click here to learn more and here for additional information and to register to come and "Celebrate Rotary". The weekend after is our club's yearly Rotary Campout in Paso Robles for our club members and their families and friends. Past president Mike Alamo is again leading this effort and it's always a good time at the Wine Country RV Resort in Paso Robles. Make your reservations now in a spot for your motor home or book one of their cabins for the weekend of October 13th. We enjoy a Friday night social, time up at a nearby tasting room that's within walking distance, play time at the pool, a pot luck dinner on Saturday night and breakfast brunch in the mornings. All activities are optional except for having fun which is guaranteed! More information to come as the date gets closer but it's best to book ASAP so you won't miss out. On Tuesday, September 12th we have the honor of hosting 2017-18 District Governor, John Weiss. Be sure to join us for this program and hear about John's vision for this Rotary year. A short Board of Directors meeting will immediately follow at Luna Red for anyone that wants to attend. 20th Annual Charity Golf Tournament on August 28! It's here - the Rotary Club of SLO Daybreak's 20th Annual Charity Golf Tournament, happening Monday, August 28 at the San Luis Obispo Country Club. We look forward to seeing golfers, Rotarians, sponsors and club supporters out on the course in just a few days! Daybreak Dollars will be available for chances to win cash including the grand prize of $1,000. Need a ticket - or several? See any club member to purchase a ticket or contact Bill Almas for more information. Spouses and guests can also join the awards ceremony and dinner starting at 5pm. Dinner tickets are $30 and can be purchased at the event. Questions? Contact tournament chair, Pat Arnold for information. See you there! SLO Daybreak members continue to send good wishes for a speedy recovery to District Governor, John Weiss. 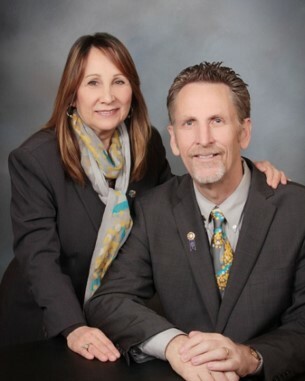 Click here to read his most recent message to regional Rotarians - August is Membership Month - and we look forward to hosting DG Weiss to a future Tuesday morning meeting with SLO Daybreak. With fires both small and large breaking out throughout District 5240, DG Weiss encourages Rotary clubs and its members to consider donating to their local American Red Cross chapters to support residents in need of assistance. Click here to make a contribution to disaster relief or call the San Luis Obispo office at (805) 543-0696. 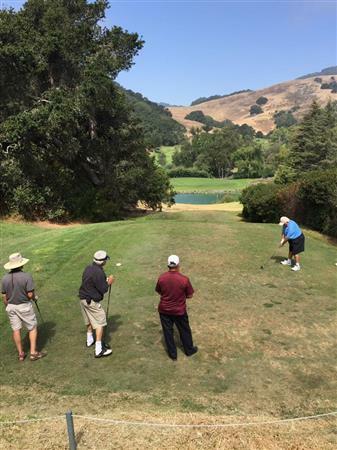 Our club's largest fundraiser is almost here and we are gearing up for the Rotary Club of SLO Daybreak's 20th Annual Charity Golf Tournament, happening Monday, August 28 at the San Luis Obispo Country Club. Tee sponsorships are now available until August 1 for just $250, with logo placement on the course and business visibility in front of 144 tournament participants. Download a tee sponsorship form here. Also, if you are a tournament sponsor and will have a team playing in August 28, be sure to fill out the player's form and return it by August 10. Club and community members - contribute to the goodies that we will be providing to golfers in their tee bags, given to each player at the beginning of the day. Promotional items (notepads, pens, sunscreen...), snacks (energy bars, fruit, nuts...), useful golfing items (balls, towels, tees, divot tools...) , etc. are welcomed. Contact Veryl Ann Duncan. Club members are also selling Daybreak Dollars for chances to win cash including the grand prize of $1,000. This is where our fundraiser can really cross the finish line in supporting our charitable giving including student scholarships, teacher grants and community service projects. See any club member to purchase a ticket or contact Bill Almas for more information. Last but not least, volunteer at the tournament! We need a set up and take down crew, greeters, cashiers, hole monitors, runners, etc. Contact Charlene Rosales. Questions? Contact tournament chair, Pat Arnold for information on sponsors, players and how you can help. Volunteer at Concerts in the Plaza - This Friday! Friday, July 21 - We will be supporting the SLO Downtown Association (now called, "Downtown SLO") at Concerts in the Plaza starting with a volunteer orientation at 4:30pm sharp at Mission Plaza, and then staffing the beverage tent from 5:00-8:00pm. Up to 15 club members are needed to help check ID's, act as beer runners, line managers and cashiers. This is a commitment from 4:30-8:00pm. Contact community service director, Matt Janetski, by July 19 to submit your completed volunteer waiver and receive more information prior to volunteering. Friends and family over the age of 21 may volunteer as well. This is a fast paced, fun event that helps support the organization that supports businesses in the downtown. And we are THE "downtown Rotary club", so let's do this! 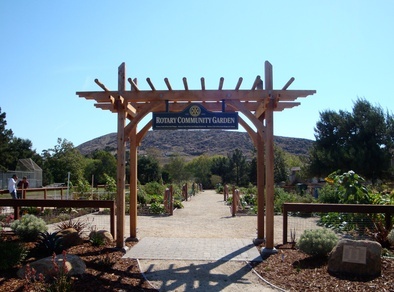 In June 2010, the three Rotary Clubs of SLO unveiled the Rotary Community Garden in Meadow Park, another collaborative project that continues to thrive today. On Saturday, July 8, we have the opportunity to spruce up the garden and get it ready for its summer gardeners and visitors. More information to come but save the date! Rancho El Chorro Amphitheater Project Complete! The Rotary Club of San Luis Obispo, Rotary Club of San Luis Obispo de Tolosa, and Rotary Club of San Luis Obispo Daybreak celebrated the completion of a major project with a ribbon cutting ceremony on June 7. 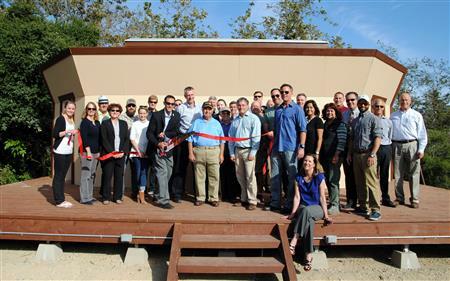 Over the course of the last several months, Rotary Clubs from the Central Coast down to Mexico and the SLO County Office of Education came together to replace and enlarge an existing amphitheater at the Rancho El Chorro Outdoor School that is operated by the County Office of Education. The new amphitheater consists of a new stage and backdrop and upgraded electrical service. The project was constructed through the volunteer labor and financial assistance of Rotarians coupled with generous donations by a number of local businesses. Click here to learn more. This is the latest of many projects that the three Rotary clubs have completed in the San Luis Obispo area, the others include an exercise course at Laguna Lake Park, an Airport Viewing Platform at the SLO Airport, the Rotary Community Garden in Meadow Park and the Rotary Bandstand in Mitchell Park. 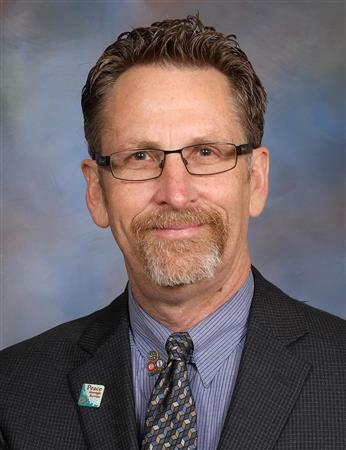 District Governor Nick Frankle reflects on this past year, read his monthly message and Rotary District 5240's newsletter by clicking here. 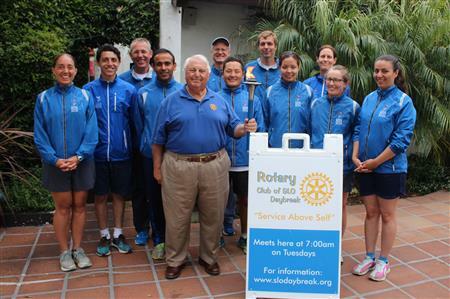 Tuesday, May 16 is the date for the Rotary Club of San Luis Obispo Daybreak's Annual Awards Ceremony. Our morning breakfast meeting at Luna Red in downtown SLO is our yearly opportunity to celebrate club achievements and to honor our student scholarship recipients, teacher grant awardees and charitable giving to local nonprofit programs. We will also talk about service projects that our club has focused on in the 2016-17 year under the leadership of president John Mascarenas and our annual golf tournament which makes all our donations possible. Please join us starting at 7:00am. Special thanks to club member David Everett who hosted us for a tour of Cal Poly's Dairy Innovation Institute on March 28. We heard an overview about the Institute, were provided delicious samples of cheese, chocolate milk and ice cream, and then donned some hairnets and booties for a tour of the production facility. Thank you Dave for a great morning and thanks to all who joined us on the vocational tour. Click here for a one-minute photo montage. Our next tour is Tuesday, May 2 out in Los Osos to SLO Roasted Coffee. On Monday, April 10 and Wednesday, April 12, SLO Daybreak will conduct its annual Fireside Chats at the home of president elect, Linda Wilson. These meetings are held so club members can provide input on a variety of club issues directly to the incoming president as they are in the midst of planning for their upcoming year. Members choose one evening Fireside to attend, starting at 5:30pm and wrapping up by 7:30pm. The meeting includes dinner from Cafe Roma and takes the place of our regular meeting on April 11. 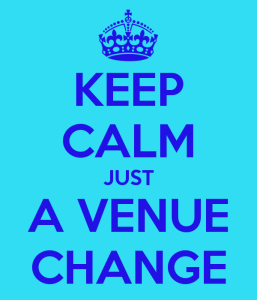 Please let Linda know what evening you plan to attend (incoming board members are asked to attend both nights). See you there! SLO Daybreak is proud to announce that four of its members recently completed the Master PRLS program over a weekend-long session in Bakersfield. Congratulations to John Mascarenas (president 2016-17), Linda Wilson (president elect 2017-18), Dave Nilsen (president elect nominee 2018-19), and Leslie Coe (president elect nominee designate 2019-20). This is a true testament to our club's ongoing commitment to excellence and that of our leaders for the next three years. The Practical Relevant Leadership Skills course is offered by Rotary District 5240 and provides a training environment for Rotarians to learn and develop skills that are useful on a personal and professional level and that come in handy for Rotarians in every level of leadership in their clubs. Other club graduates of the Basic PRLS and Master PRLS program include Mike Alamo, Bill Almas, Thom Brajkovich, Brian Conroy, Craig Darnell, Robin Dudley, John Eichler, Bob Harway, Doug Hoffman, Berni Ann Lewis, Charlene Rosales, Annie Shanks, Harry Sharp, Doug Shaw, Steve Sicanoff, and Liz Summer. 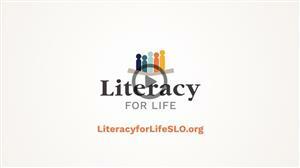 For more information on the PRLS program, click here. My Rotary year thus far has been very exciting and rewarding. It is going by very quickly. First, I was disappointed our Club was not able to participate in the Octagon Barn Amphitheater project as it has been delayed until 2017-2018 year. The YMCA garden renovation has also been delayed to next year. However, our Club will replace these two projects with the Rancho El Chorro Regional Educational Center Amphitheater and the Anderson Hotel Apartments for homeless seniors. The Club will be sending some members to our Tepehua Community Center in Mexico in June. I am still working on the District Grant for the elementary school in Morelia Mexico with that project finishing up later in 2017 or early 2018. We have had some very successful community events, an interesting vocational tour and have two more scheduled before year's end. Our financial data has been consolidated, reported monthly and is current. I can truly say that my Board of Directors is the best group I have ever worked with. They challenge me and help me in so many ways. Also, I'm grateful for all the help I have received from our Past Presidents and all the members of our Club. Thank you so much! 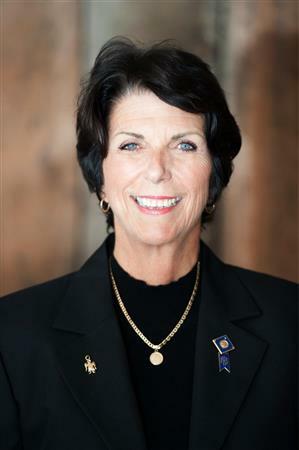 Congratulations to our very own Liz Summer on receiving the San Luis Obispo Chamber of Commerce's 2016 Citizen of the Year award! 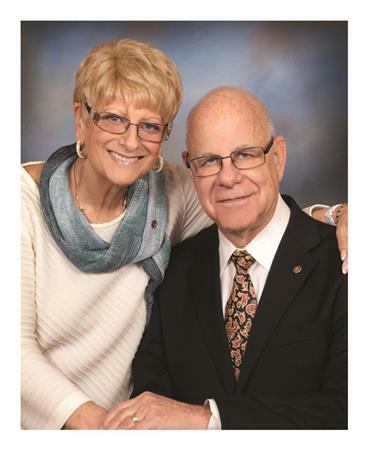 Among Liz's many contributions to Rotary and leadership of this club, she has given tirelessly and graciously of her time, energy and resources to our local community. Click here to read more about her contributions to many fine organizations and causes. We are so proud of you, Liz! Want to learn more about our club? Are you a newer member and have questions? Did you miss a regular meeting and need to do a make up? Then join Past President - and 2016 Citizen of the Year - Liz Summer for a cup o' joe on Saturday, January 28 from 8:00-9:00am at Coastal Peaks Coffee, 3566 S. Higuera in San Luis Obispo. Join a few other fellow Rotarians for casual conversation and this weekend meeting is also open to anyone who might be interested in Rotary so friends are welcome too. For one day only our club meeting will be held at the sister restaurant of Luna Red - Novo - just across the creek on the other side of Mission Plaza. Luna Red will be closed the week of January 23 to do some improvements on the interior and their team will still be hosting our dining and service experience with just a change of scenery. We look forward to seeing everyone at Novo! 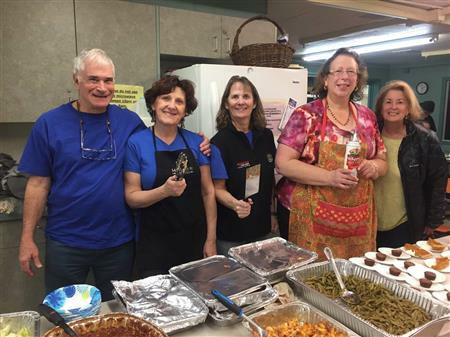 Thanks to the SLO Daybreakers - Steve and Ilene Sicanoff, Annie Shanks, Berni Ann Lewis and Leslie Coe - that served dinner at the Maxine Lewis Memorial Shelter on Saturday, December 17. And special thanks to community service director, Chase McMunn for organizing all our holiday service opportunities! 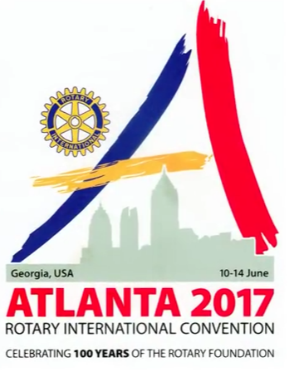 The RI Convention will be held in Atlanta, Georgia this year - a great opportunity to meet thousands of Rotarians from around the world, right here in the United States. Click here for more information. November is Foundation Month. Click here to read this month's message from 2016-17 District Governor Nick Frankle. 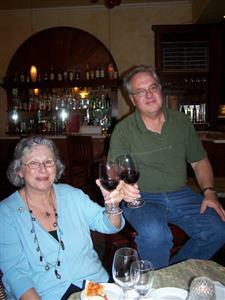 This month's club social will be at the home of Steve and Ilene Sicanoff on Friday, Nov. 4 from 5:30-7:30pm. Ilene will be cooking up her famous chili and cornbread! Please bring and appetizer or dessert to share and remember that this is a BYOB event. Guests can use the Adult School parking lot behind their house and contact Steve for more information. See you there! Thanks to all who supported the Rotaract Club of San Luis Obispo's Coats for Kids drive. Special thanks to this year's sponsors, Central Coast Printing, Meathead Movers and Paul's Dry Cleaners and Laundry who very kindly freshen up the donations with their dry cleaning services. Last year nearly 900 coats were collected. SLO Daybreak member donation sites included Coast Hills Credit Union, Crew Wealth Management, Glenn Burdette and Shalimar Restaurant.Thank you! We have the treat of being hosted to a private tour of the expanding Firestone Walker Brewing Company on November 1st. Their location is 1400 Ramada Dr. in Paso Robles and the tour begins at 7:30am sharp. Parking in Paso will be in the lot behind the tap room, across the street from the brewery. Meet in the patio area of the restaurant. If you wish to carpool, please meet by 6:45am at the parking lot adjacent to the Ah Louis Store at the corner of Palm and Chorro streets. Bring your morning beverage of choice in your own traveler and muffins and croissants will be provided to take on the ride up to Paso Robles. If you wish to leave your car in SLO and catch a ride, please park it in the parking structure directly next door. The brewery is an operating facility under construction so please dress warm and wear closed toe shoes. Protective eye wear and headphones will be provided to cut out the brewery noise and to be able to hear the speaker who will be leading the tour with a microphone and that you can hear through the headphones. Join President John for coffee and conversation this coming Saturday, October 29, 8:00am at BlackHorse Espresso & Bakery, 3590 Broad Street. This is a great way to make up for a missed meeting, chat with a small group of Rotarians and to ask questions directly of our club president. Come one, come all and no RSVP is necessary. Come one, come all to the tri-club Rotary Campout the weekend of October 7-9th. 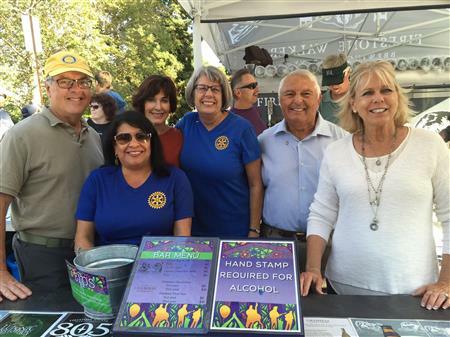 There is tons of fun to be had as the three San Luis Obispo Rotary clubs join together for a great weekend of fellowship, food and festivities in neighboring Paso Robles. FRIDAY EVENING GET TOGETHER: Starting at 5:30pm. Bring a hearty appetizer to share. SATURDAY EVENING CLUB SOCIAL: October 8th starting at 5:30pm. All members of the clubs and their friends are invited to join us at the Wine Country RV park for a social and pot luck BBQ. Bring your own BBQ items. Also bring a side dish (salad, veggie, or dessert) to share with all and if possible email Michael with your selection so we can make sure we don't end up with all desserts. OTHER DETAILS: There is no charge for visitors to attend and parking is available. You can come up earlier that day as take a swim in their pools if you like. Head to campsite 42 to find our group. We have a great premium, semi-private area reserved for our use, dog run included! DAILY WINE TASTING: Tradition dictates that some of us head over to EOS Winery in the late afternoon for wine tasting on most days. It is an easy walk through some vineyards adjacent to the RV park. The daytime hours are not scheduled with activities so campers can do their own things. I would like to start by saying that I’m truly happy and fortunate to devote a year to our Club as president. For many reasons in my life I was not able to do so before now. My Rotary year will be devoted to local projects like the Octagon Barn Amphitheater, SLO County YMCA garden renovation, the 40 Prado homeless center playground and feeding the homeless at the Mission, to name a few. We will continue to support our international project with the Tepehua Community Center in Mexico. We may also help to locate a club or do a district grant for the Rotary Club Morelia Experiencia y Juventud. This project is for new computers, auxiliary equipment and software to equip a computer lab in an elementary school where one of their club members is the principal. The lab was damaged by rain when part of the roof collapsed. I was invited to Morelia, Mexico by the president of the club. I attended the District Conference 4160 in San Miguel de Allende in April 2016. Other key areas where I will focus my year will be on engaging our membership in community projects, growing our membership, streamlining Club financial data/accounts, and involving our Board of Directors in Club decisions and transparency. We cannot continue to serve our community without growing membership. Let's Get Ready to Mingle! 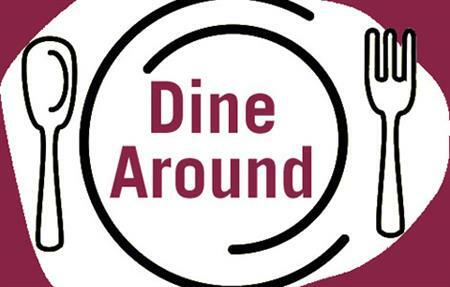 Have you signed up to participate in the SLO Daybreak "Dine Around"? Dine Around is a chance to mingle with your fellow Rotarians in a casual and friendly setting - either at someone's home, a restaurant, meeting after work, somewhere in the county - it can be an adventure! For those of you that did sign up, please try to meet at least once a month or every 6-8 weeks, whatever your group decides. Here's how it works - the first person or pair on the list (see the download file to the right on our home page) is responsible for reaching out to others in their group and setting up the first gathering. You can really do anything - the idea is to come together over food and get to know your fellow members better; friends, potential new members and significant others are welcome to join too. You can meet for a picnic at a winery, host dinner or a pot luck at your home, take a short trip up or down the coast and meet for a Saturday lunch, gather as a group at a free event or for cocktails and appetizers - you decide. At your first meeting, set a date for your next Dine Around. And remember, this is supposed to be fun so keep it easy and flexible and don't feel bad if you can't make every one. More importantly, take the time to enjoy and spend time outside of our regular meetings and events with your fellow SLO Daybreakers. Contact Berni Ann Lewis for more information. Congratulations to Brad Bilsten, owner of B. Anthony & Company Jewelers! 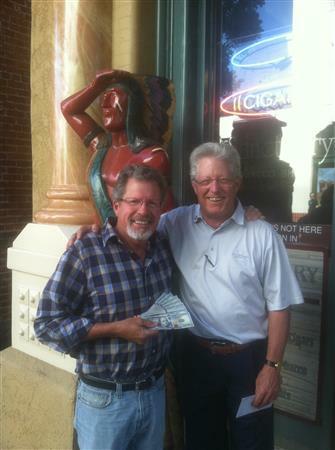 Brad was presented with $1,000 in cold, hard cash yesterday by Daybreak member Doug Shaw (who sold the lucky ticket) from the proceeds of our annual “cash give-away” fundraiser, sponsored this year by Blakeslee & Blakeslee. 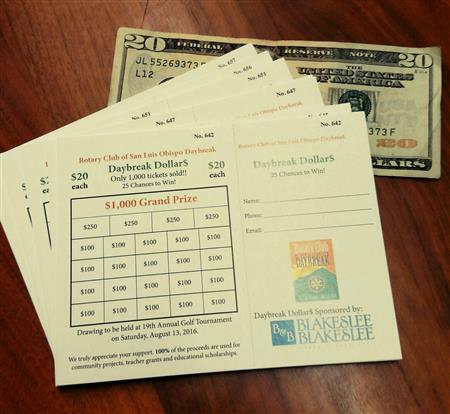 Twenty other ticket holders won $100 cash, and four received $250 in our “Daybreak Dollars” drawing, which was held August 13th during the barbecue of our 19th Annual Classic Charity Golf Tournament at Avila Beach Golf Resort. A heartfelt thank you to everyone who purchased a $20 “Daybreak Dollars” raffle ticket (or more). All proceeds from the fundraiser will benefit community and international service projects through SLO Daybreak’s Charitable Giving Program. Thank You For Making Our Annual Golf Tournament a Success! 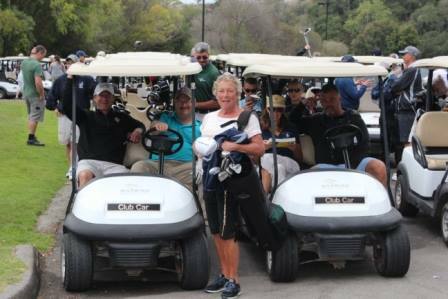 Thank you to all the sponsors, donors, players and volunteers for making SLO Daybreak's annual Classic Charity Golf Tournament a great success! We had a full field and afternoon of fun out at Avila Beach Golf Resort on August 13th. And, the Daybreak Dollars drawing sponsored by Blakeslee & Blakeslee was held - congratulations to Brad Bilsten of B. Anthony & Co. who was our grand prize winner. See you all next year for our 20th Annual Charity Golf Tournament! 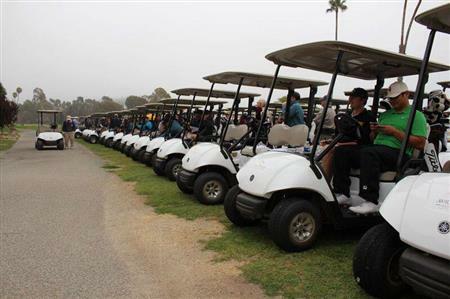 It's finally time for SLO Daybreak's 19th Annual Classic Charity Golf Tournament to be held at the Avila Bay Golf Resort on Saturday, August 13, 2016. Click here for a video of the 2015 tournament to check out the fun to be had. This event funds our annual charitable giving to local students, teachers and nonprofit programs, as well as our community service efforts. We look forward to having a great time with all our fellow Rotarians and supporters. Please contact Pat Arnold for more information or visit www.slorotarygolf.org. Construction of the Maternity Clinic, built on the site of the playground at the Tepehua Community Center has been completed. Through donations from the private sector and Rotary International, spearheaded by the Ajijic Rotary Club (thank you Joan and Bernie Suttle! ), the building was completed and survived the heavy rains during the recent rainy season. The Clinic is changing the lives of many local people. The purpose of the Clinic is "to change the way Mexico views rural women's health, specifically during and after pregnancy. The Clinic will be a pilot program for local clinics to take the initiative without government aid." Habitat Tepehua program that helps very poor residents repair their "shacks" to keep the rain out of their homes. All wonderful news! Thank you Rotary Club of SLO Daybreak members for helping to make this possible through your donations and hands on work. The Peace Run relay teams are made up of runners from all over the world and all walks of life who have dedicated their time and energy to bring the Run to communities around the globe. Since its inception in 1987, the Run has traversed over 140 nations. This year’s North America Run, which started last April, is scheduled to end on August 13, 2016 in New York. According to Peace Run’s Executive Director Salil Wilson, who introduced the team and gave a short presentation to our club, they share their message with school children, community groups and sporting organizations during their 10,000-mile journey through United States, Canada and Mexico, touching the lives of millions of people. The Peace Run does not seek to raise money or highlight any political cause, but simply strives to create goodwill among peoples of all nations. By passing the torch from one person to the next, the relay offers people the opportunity to express their hopes and dreams for a better, brighter future. We were honored to be able to host them at our meeting – and pass the symbolic “Peace Torch” ourselves – on one of their California stops. For more information on the Sri Chinmoy Oneness-Home Peace Run, visit their website at PeaceRun.org. Thank you Rotarians and community members for making this such a generous and successful year! Every week, Rotarians learn about different different topics of interest through speakers that are invited to our Tuesday meetings. The subject matter can range from hot button community issues, personal well being, Rotary-related events and candidate debates to hearing from nonprofit organizations, city and county staff or elected officials or our own members providing a "craft talk" and sharing more about themselves and their hobbies. The wide spectrum provides a way for our club members to be informed on local and worldwide issues, as well as just to learn something fun and interesting. If you have ideas for guest speakers, contact Matt Janetski. Guest speakers are invited to join us for our regular breakfast meeting starting at 7:00am with the speaking time from 8:00-8:20am with another 5 minutes for Q&A. As a thank you for each guest speaker, President Liz donates a book to Literacy for Life (formerly the SLO Literacy Council). This local organization serves our entire county and provides tutoring in English language skills for adults, whether they be native English speakers or non-English speakers. To learn more, click here. Club members and friends of Rotary recently packaged dozens of kits for the Days for Girls project. Days for Girls is a nonprofit that from a grassroots level, works to provide every woman and girl in the world with access to quality sustainable hygiene and health education by 2022. 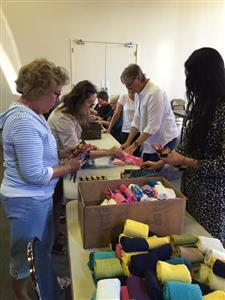 SLO Daybreak began volunteering and providing handmade, washable feminine hygiene kits in 2015. These kits allow women and girls to have a higher level of health, safety, dignity, and continuous access to school and work. 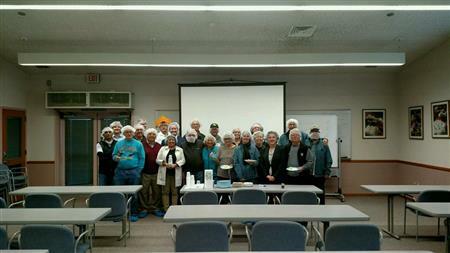 Last month, Rotary of SLO Daybreak sponsored, prepared and served a hot breakfast to 30 women, children and families at the Mission overflow homeless shelter. This was the second volunteer effort to serve food this year by club members that helped Deacon Chuck from Mission de Tolosa feed a few local homeless families.Special thanks to our Rotary members - Debra Larson, Berni Ann Lewis, John Mascarenas, April Mott and Liz Summer. The next coffee and conversation with President Liz is happening on Saturday, February 6, 8:00-9:00am at BlackHorse Espresso & Bakery at 3590 Broad Street. Join Liz Summer and a small group of other Rotarians to get caught up on club business, ask questions and even make up for a missed meeting. No RSVP required, just swing by and start your Saturday off right with some Rotary friends. This year we have been invited by District Governor Ramon Medellin of District 4160 to visit his district and clubs following their District Conference in beautiful San Miguel de Allende, GTO. The dates of the Conference are April 29-30, which we are also invited to (information and cost will be available soon), with the Safari planned from Sunday the 1st and returning home on the 4th of May. The Safari is sponsored by the Rotary clubs of District 4160. They will home host you (with hotels as an option at your expense), feed you and introduce you to their members and families. You will be able to see their local attractions and points of interests, community projects, and possibly do some hands-on projects while there. The objective of the Safari is to share the Rotary experience, create partnerships and lifetime friendships with these clubs. For more information, please contact Past District Governor, Wade Nomura, at wadedg1112@verizon.net. More news from Moonie in Tepehua... "Built by private donors, construction of the new maternal health clinic at the Tepehua Community Center is almost completed. 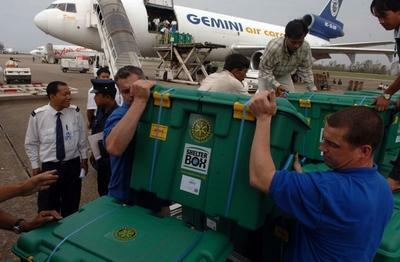 Next comes the furnishing of necessary equipment to assist women through their prenatal and postnatal care (exciting!). Pre and postnatal counseling to help insure healthy babies is an important part of their program. As I have mentioned previously, the laboratory will house the only sonogram unit (on their wish list) in the area.The maternal clinic will serve women of the entire lakeside community (Lake Chapala), not only Tepehua, and will cut the infant mortality rate in half!! The mobile unit, which travels to 4 different barrios every week, will be able to transport women having lab and/or sonogram needs to the Tepehua Community Center maternal health center.Classes at the Community Center have expanded to include: English, reading, math, sewing, art, counseling, women's health, bazaar, jewelry making, and a bathing program (hot showers for families with no running water at home).The Dental Clinic is operating 3 times a week." Our club's international service director, Veryl Ann Duncan, reports that things are going well at the Community Center in Tepehua, Mexico. The director of the center, Moonyeen King, says that the donation from SLO Daybreak to purchase a dental chair for their Dental Clinic is being heavily utilized and is one of the busiest spots at the center. In addition, their goal of building a Maternal Health Clinic with its own lab and ultrasound unit is well underway. The roof for the clinic is currently under construction. When completed, women will be able to give birth locally at the Community Center and only the most serious cases will require transportation by bus to Guadalajara. Several nurses and doctors have volunteered their time to work at the clinic, professionals that only earn basic wages at local clinics and are yet so willing to provide their services for free. The clinic is still in need of ultrasound machines, something vital to decreasing maternal mortality rates. SLO Daybreak can be proud of this ongoing partnership with the Rotary Club of Ajijic - it's making a difference through the funds we have sent and our club's volunteers that have traveled to Mexico to provide hands on work. Shoppers unite! 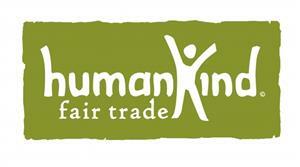 Join us at Humankind Fair Trade, 982 Monterey St. in SLO, on Saturday, December 5 from 5:30-7:30pm. 20% of each purchase will benefit Days for Girls International. In 2015, SLO Daybreak began its support for the Days for Girls program, a nonprofit that with the help of volunteers and service organizations, helps to provide sustainable, feminine hygiene kits and health education programs, ensuring that young women around the world have access to cleanliness, dignity and uninterrupted schooling. We are appreciate of Humankind's support of this effort. The store, located in the heart of downtown SLO, sells fair trade products and tells the stories of its artisans and farmers that provide the handmade goods from developing countries.In turn, the store provides an income to the crafts people, affording them additional income. Humankind opened on July 1, 2009. If you have not been there yet, you are in for a treat - for a good cause! Our club is looking for volunteers in two key areas - youth service and the 2016 golf committee. SLO Daybreak sponsors the Interact Club at San Luis Obispo High School - we are in need of a point person (or a few) to work with this club because currently, our Youth Service Director position is unfilled on president Liz's board of directors. This role would be responsible for coordinating the presence of a Rotarian at every Interact meeting, guest speakers for the meetings and interfacing with our club on Interact community service projects. Thanks to all that signed up to attend the weekly meetings. The Interact Club meets on the SLOHS campus in the Lecture Demo Room on Mondays from 12:35-1:15pm. You will need to check in first at the main office so arrive by 12:10pm. Please contact Liz Summer for more information. Another great way to get involved is to join the committee for our signature fundraiser, the 19th Annual Fall Classic Charity Golf Tournament. This event funds our charitable giving towards education - scholarships for students, KidSpree, the Rotary Youth Leadership Awards camp and teacher grants - as well as contributions to local and international nonprofit programs. There are many ways to serve on the committee such as working with sponsors, acquiring in-kind donations, helping with logistics and coming up with ideas to make the event a fun time for all. For more information, contact the 2016 committee chair, Pat Arnold. 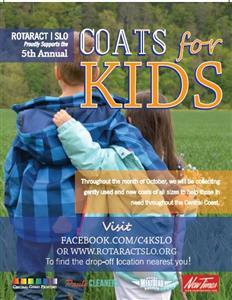 The Rotaract Club of San Luis Obispo is holding its annual Coats for Kids drive throughout the month of October. They will be collecting gently used and new coats for all sizes to help those in need throughout the Central Coast. Special thanks to past president, Doug Hoffman, for matching the club members' monetary contributions - we will be providing $200 towards the purchase of new coats! Visit www.facebook.com/C4KSLO or www.RotaractSLO.org for more information or to find the drop off location nearest you! Rotaract SLO meets on the first and third Tuesday of the month from 6:00-7:00pm at Glenn Burdette on the corner of Palm and Toro streets (1150 Palm). Join them for a meeting and see all that they are up to! The three San Luis Obispo Rotary clubs are getting together for a social on Wednesday, November 11, 5:30-8:00pm at Cafe Roma. Don't miss the fun, guests are welcome to come too! The Rotaract Club of San Luis Obispo is holding their annual fundraiser on Saturday, November 7 starting at 2:00pm at the Ludwick Community Center (864 Santa Rosa St.). This is a fun opportunity to help them raise funds and get some things checked off your to do list. A live auction will be held to "Rent a Rotaractor" to help with any needs you have, especially around the holiday season - setting up or cleaning up after a party. small jobs around the house, hanging lights, bartending, dog sitting, you name it! The event includes a silent auction, beer, wine, food and entertainment. Tickets are $10 presale, $15 at the door. For more information and for tickets, email slorotaract@gmail.com. 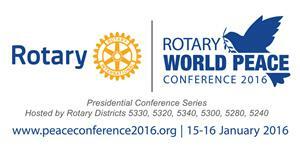 The Rotary World Peace Conference, January 15-16, 2016 in Ontario, CA. This event takes place in lieu of District 5240's Steps To Eliminate Poverty Sustainably (STEPS) Conference and is the first of five worldwide peace conferences which will take place this coming year. Click here for more information. On Tuesday, June 2 the Rotary Club of SLO Daybreak held our Annual Awards Ceremony, celebrating club achievements over the past year as well as over $39,000 in charitable giving over this Rotary year. Our club recognized our Classic Charity Golf Tournament sponsors (which raised over $21,000) and recipients of our teacher grants, student scholarships and community awards. Rotarians and guests also had the opportunity to reflect on the good work done this year in partnership with our fellow Rotary clubs in San Luis Obispo, the SLOHS Interact Club and the Rotaract Club of SLO. Said club president, Bill Almas, "I am proud to have been the club president this year. It's with everyone's involvement and the support of the San Luis Obispo community that has made this a year to remember". Significant service projects this year included the viewing station at the SLO County Regional Airport, the revitalization of the Laguna Lake Commemorative Grove and volunteerism with various nonprofit organizations. Club members also supported the Days for Girls organization and this week, members are traveling to Tepehua, Mexico to complete work on a community service center and visit outlying villages in the Maternal Health Bus that SLO Daybreak helped in purchasing. $6,000 to Polio Plus to assist Rotary International's efforts in eradicating polio around the world. The SLO Daybreak sponsored Interact Club at SLOHS also raised over $800 this year for Polio Plus. 13 local high school students from Pacific Beach, Mission College Prep and San Luis Obispo high schools were awarded a total of $15,088 in student scholarships to continue their education. 21 local elementary and high school teachers were awarded a total of $5,861 in grants to assist in their instructional efforts. 8 local nonprofit organizations were awarded a total of $6,000 to enhance their programs serving children, teens and adults in need. K9's for Warriors was supported with $500. United Way of SLO County was provided with $1,000 to sponsor 10 children for their KidSpree program. Three local Rotary Clubs and Rotaract Club of San Luis Obispo worked together with local businesses, families and individuals to complete a viewing platform for the public to enjoy at the San Luis Obispo County Regional Airport. Located between the Spirit of San Luis restaurant and the terminal, the platform provides an inviting area to view runway activity as well as serving as a stage for interactive educational opportunities in aviation for County youth. Well over $100,000 in donations and hundreds of hours of volunteer work were donated by local Rotary clubs and members of the community to complete the project. The platform boasts a new retaining wall and railings, new landscaping and a Rotary Club emblem to decorate the site. Souza Construction acted as general contractor on the project, contributing a majority of their labor and materials at discounted or no cost. For his Eagle Scout certification project local Boy Scout from Troop 6, Michael Ronay, designed a speaker system for the platform that broadcasts radio transmissions between the control tower and airplanes as they land, taxi and take off. Alpha Electrical Service, a San Luis Obispo based electrical contractor, worked with him to build the system. The four clubs celebrated with a ribbon cutting on April 27 and shortly after, six new benches were installed for visitors to the airport. The many members of the community who donated time and resources to the effort include: Rotary Club of San Luis Obispo de Tolosa, Rotary Club of San Luis Obispo, Rotary Club of San Luis Obispo Daybreak, Rotaract Club of San Luis Obispo, Souza Construction, Wallace Group, Air Vol Block, CalPortland, Chevron, Covelop Inc., Earth Systems, Specialty Construction, Bunyon Brothers Tree service, Ron Jordan Concrete Pumping, San Luis Obispo County, San Luis Obispo County Regional Airport, Spirit of San Luis Restaurant, United Rentals, Michael Ronay, Alpha Electrical Service, Jesse Wallace, Lance Wierschem, Farm Supply, Coast Electronics, Atascadero Elks, St. Francis Landscaping, Phillips 66, C&R Tile and Quaglino Roofing. Our greatest thanks to our club's project point person, Pat Arnold.